LiveScope for Real-Time Scanning Sonar! See Down and All around! 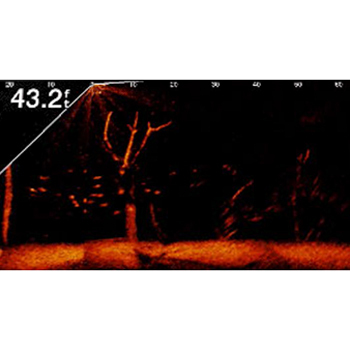 Panoptix LiveScope with Thru-Hull transducer from Garmin is the best in detail with live scanning sonar images of structure, bait and fish swimming in real time up to 200' down and away! Built with AHRS (Attitude Heading Reference System), Livescope ensures your sonar view stays stable even in rough seas! With two modes in one transducer, you can easily adjust the transducer to get the info that is vital to you. LiveScope ensures you are getting the clearest images of fish and structure below and around your boat. With real time you can see the fish swimming and even see your lure as you retrieve it. The best part is you don’t even need to be moving. All of this can be done while the boat is stationary. 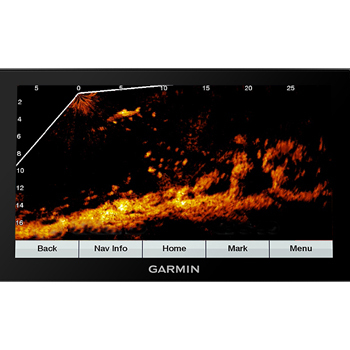 LiveScope Down provides images of structure and swimming fish up to 200' below your boat while the Live Scope Forward will assist you in scouting and locating fish that are swimming ahead of your cast up to 200'. Easily adjustable, the Live Scope can be set to the mode that works best for your fishing needs. With exceptional views and sonar capabilities you can not only see what going on in real time, you may with just a bit of practice even be able to differentiate between fish species! Simple Plug and Play setup in the Garmin Marine network, the Panoptix LiveScope comes with the GLS10 sonar box and the Panoptix LVS32 transducer. 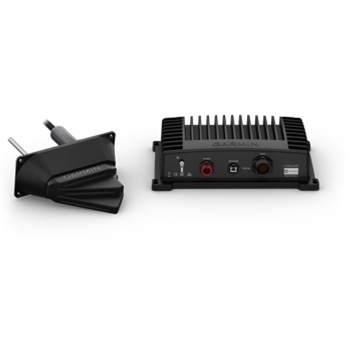 Fully compatible with Garmin echomap Plus 7 and 9" units as well as all Garmin GPSMAP 1022/1042/1222/1242/722/742/922/942/7400 and series units and combo units (XSV models) as well as GPSMAP 8400/8600 series Chartplotters. Garmin Small Connector Network Cable 2m. Can replace or extend the cable included with the GXM 53 and can be used with the Panoptix LiveScope Transducer. If extending a regular sized network cable, a GAX12831 coupler is required. Garmin Marine Network Cable Small Connector Coupler, this coupler is used to join the cable that connects the GXM 53 to an extension cable. Garmin Small Connector Network Cable 12m. Can replace or extend the cable included with the GXM 53 and can be used with the Panoptix LiveScope Transducer. If extending a regular sized network cable, a GAX12831 coupler is required. Extend the cable length of your Garmin Panoptix LiveScope transducer with this Extension Cable. Cable is 10 feet long (3 meters).